Alright, sorry, but I gotta post another call for help here. Here's the deal. I'm determined to collect all the Stray Beads before moving on to the Ark of Yamato (AKA the Point of No Return). I've collected 99 of them and the last one eludes me, meaning the one I gotta race Kai to get. And yet there's so many obstacles in Yoshpet that I can't beat her even when I take the lead! Even though I went through all the trouble of going through the damn forest and Blooming every cursed tree I came across. The main issue is the obstacles that turn you into ice, especially the snow boulders and icicles that are nearly IMPOSSIBLE to avoid. And the timer's still running too, even in Draw Mode, which almost entirely rules out the possibility of using my Brush Techniques, and at the same time, I can't exactly gather the stopwatches because that tends to help her gain the lead too. Please, can someone, ANYONE, give me pointers on how to beat her, or at least improve my chances of winning without running smack dab into an obstacle? PS: Has anyone notices that almost all the races you even participate in are HIGHLY rigged to make winning extremely hard? Actually, beating Kai *does* give you a bead... so I'm guessing he already counted the bead for beating the game? But yeah, that race is seriously rigged. On more than one occasion I was at least 50 meters away from her, only to have her pass me once I entered the last area. Oh and, abuse dashing. Once you enter a new area, immediately dash and start running. This saves a lot of time as you're almost back at full speed immediately. Last edited by Henduluin on October 3rd, 2008, 3:18 pm, edited 2 times in total. No I don't. I already got that one as this is my third time going through the game. So that gives me 99. Just remember you dont have to follow the path ... you can cut alot of time by going straight from one side to the other rather than follow the curving path. It took me like 3 times to perfect it so just keep going and memorise the path and you will be fine. Yes! Thanks everyone. Thanks to your advice, and my incredible persistence (AKA being so absolutely stubborn that I don't give up until I win), I managed to finally beat her by a landslide (Even though amazingly I hit some icicles and stuff near the end), and beat her. I'm never doing that one again. c.c This makes my 100th Stray Bead. 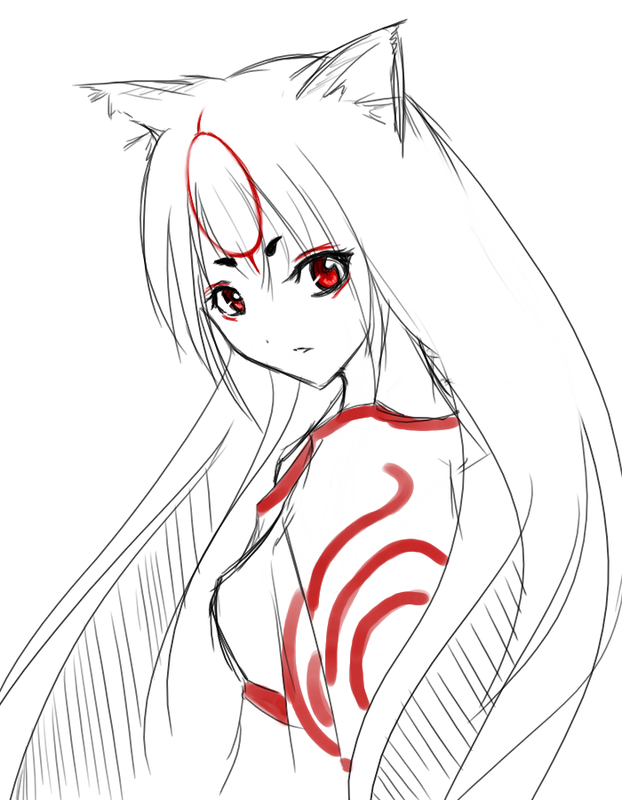 As a thank you present, another Ammy pic I got off DA. I was having this same problem and I have an additional tip. Don't have the water tablet equipped. It seems to make you lose traction. Hope this helps.